Possible type of surveillance camera to be installed. The OB Community Development Corporation (OB CDC) Agenda is pretty much the same every meeting: The OB Entryway, the OB Veterans Plaza, and the variously named piece of Ocean Beach Park, sometimes called Saratoga Park (as is the tot-lot behind the Rec Center) soon to be Ruth Varney Held Park, a very important change that has a high priority. The audience was the usual three people – Lori Zapf’s D2 City Council Rep, Bev McCalla (an OB CDC volunteer), and your own Lois Lane. The first round of comments has been returned from the City for the Veterans Plaza. Plans are in the works for Estrada Land Planning to make a sort of outline on-site model to demonstrate that what might seem too big really isn’t. The group expects to see their plan fully approved by January, when they will start serious fundraising for the $1,550,000 for this project. Meanwhile, the children’s area and the adult exercise area were a hot topic of discussion, as no contract has yet been let for the design activity, and the President, Tom Perrotti, expressed a strong desire to see some forward activity in that area. The item was deferred until October so that details of the funded design can be worked out with the selected designer. The CDC has announced again that it has completed all activity with the OB Entryway, and the offer to place tiles and plaques there has been removed as there was no interest after all. Probably the most interesting announcement was made by Dave Martin regarding details of the soon-to-be implemented 24-hour police live-feed cameras all along Ocean Beach Park, from south of the pier to Dog Beach. Camera coverage will include the beach front and parks, the parking lots, but not any adjacent residences. The images will be recorded 24 hours a day, but there will not be continuous surveillance. Images can be reviewed, however, if required, and there will be some real-time monitoring. In addition to Tom Perrotti, other board members in attendance were Steve Grosch, Dave Martin, Brian Pottenger, Steve Haynes, Jane Gawronski, Jim Musgrove and Paris Barrowclough. The cost for the Veterans Plaza is projected to be $1,000,000 for construction and $550,000 for maintenance. Maintenance will be funded by the 2200 application fees for names on the wall, at $250 per name. The CDC will enter into a right-of-entry agreement with the city to perform construction and maintenance. More Police cameras, that the SDPD won’t allow citizens to view. Now that’s real freedom working for you. Just point those cameras into the pockets of the people to see where a million bucks comes from & goes to–a million bucks for a war memorial. Is Big Brother naked? Gee – could the community at least have a discussion about this without the cameras being shoved down everybody’s throats? Where did the initiative for this come from? And how do we all of a sudden have money for something like this, when we can’t afford a new lifeguard station or new library? Too many questions, OBCDC, exist before you hand the village your idea of safety. Aren’t there cameras at other beaches but no one watches them – not enough funds? And what about the camera at the end of the OB Pier? Could we get a report on that before we spend more money on more cameras? 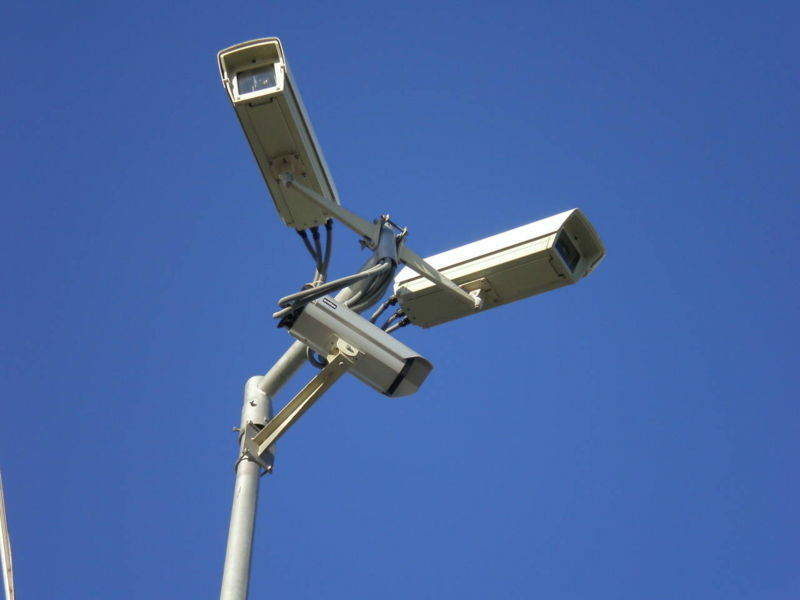 Let me be the first to say it: No to the Surveillance Cameras! I make this promise: I will organize protests everytime this issue comes up at whatever meeting. Good people cannot sit on their duffs while stuff like this comes down. Where else in the city have cameras been deployed? Is there equity across the board on where the cameras are installed? Probably not. I agree with Molly ^ this isn’t right and I will also protest as soon as these cameras are up. I believe the money they are going to use for this project should go towards other important factors In the community. Why not just place new lights instead of cameras? Been living here 20 years , and I strongly believe the community should have a say on this. Not just 1 or 2 people .. Newer Article: Are New Stop Signs and Cross-Walks at Abbott and Santa Monica Being Ignored?